This post uses affiliate links, which could result in me receiving monetary compensation. Please read the disclosure in the sidebar for more information. So, interesting tidbit about me that one might not pick up on if they just saw me walking down the street, but mostly because of the way people choose to judge people. I flipping love Jeff Foxworthy. I grew up outside of Atlanta in a trailer park and had a cousin on "Cops," so redneck jokes were #relatable. I have memorized The 12 Days of Redneck Christmas and I sing it every year. I watched "The Jeff Foxworthy Show." We had a Redneck Joke a Day calendar for a good chunk of the 90s. When one loves an observation comic, one learns to make observations. I'm going to make some now, based on life as an older Millennial. 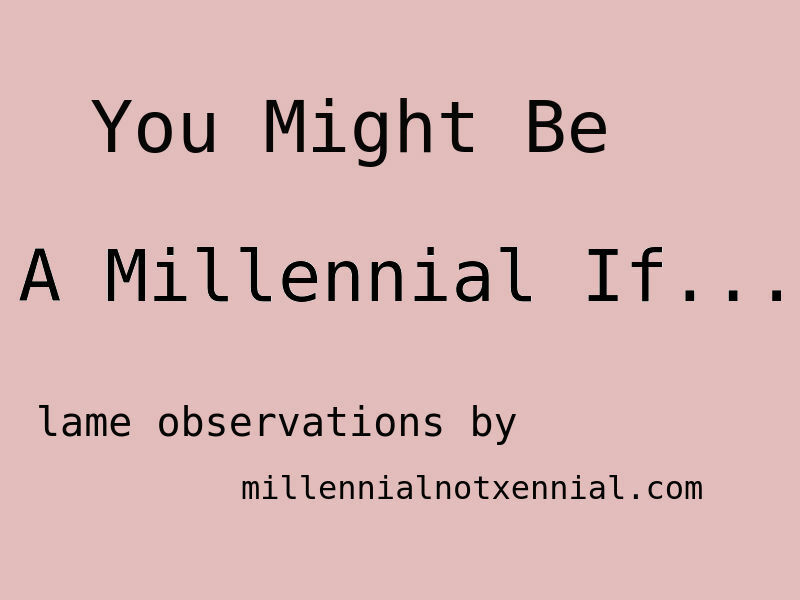 They're probably not funny as being a Millennial is at times tragic, and some of these probably only happened to California Millennials (I've lived in five states, so don't worry about my contradicting statements about where I have lived), but they're still observation's I've made. Your college scholarship got canceled because the sponsor fell victim to the dot com bubble, you might be a Millennial. If you had strong opinions about Michelle not being on "Fuller House," you could be a Millennial. 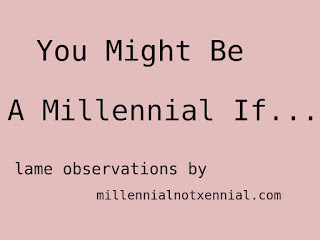 You wanted to be a journalist in middle school just to have that career become endangered before your 25th birthday, you might be a Millennial. If Cory and Topanga are goals, you might be a Millennial. You learned to use a card catalog in 5th grade just to have libraries to be computerized by 8th grade, you are definitely an older Millennial. If you know every line to Clueless and Mean Girls, you are a Millennial. If you spent the majority of your 20s able to watch funny videos on YouTube, you might be a Millennial. Okay, I know that this entry was totally lame, but I've been itching to write it since I actually said the first one to a co-worker the other day. It's probably not going to be a recurring segment, but it was kind of fun to do it once.